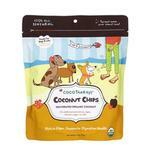 Support your pets' health and wellness with the tasty CocoTherapy Organic Coconut Chips Pet Treat! 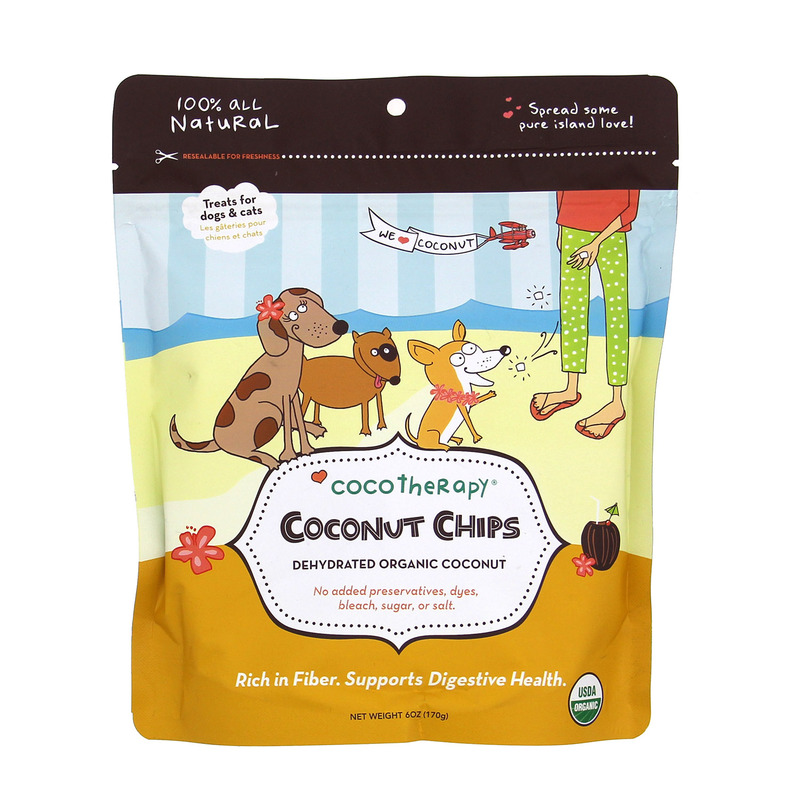 A delicious treat for your dog or cat, CocoTherapy® Organic Coconut Chips are made from dehydrated organic coconut meat. The dried coconut flakes are made of pure, 100% organic coconut meat, with absolutely NO sugars, salt, preservatives, or chemicals added. The coconut meat is harvested from a family-owned farm in the Philippine Islands. The organic coconut chips are raw and dehydrated slowly at a low temperature, 98.6° F (37° C). They are vacuum packed. This keeps the nutrients intact, resulting in a raw coconut that tastes fresh, has a wonderful texture, and contains all the rich nutrients found in fresh coconuts. Pets love the rich, slightly nutty flavor of these coconut meat chips. They are an excellent source of fiber that you can feel good about giving your pets. The fiber and healthy fats help you pet feel full and can help your pet maintain a healthy weight. To Feed: Give 1-2 teaspoons per 10 pounds of body weight. Larger pieces may be offered as a healthy training reward. Smaller pieces may be mixed in with their dinner. Always provide your pet with plenty of water with a high-fiber treat! Ingredients: 100% natural organic non-GMO dehydrated coconut meat. 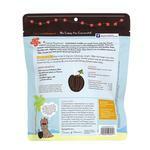 Check out our other healthy CocoTherapy pet treats! Posted On 08/14/15 by Terri J from Lakewood, CO Yes, Terri J recommends this product! Our Boston goes crazy for these! Really different from most treats. They are small, thin chips so easy to give and organic too! Delivery was very quick and the product was great--even my dog liked her Halloween and Christmas collar!